At Satya Live Yoga, our aim is to provide an easily accessible, affordable and convenient way to pursue Satya (true) Yoga (union). 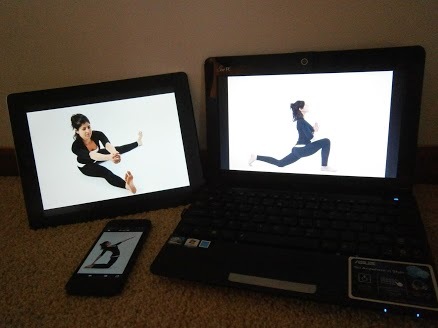 Using the immediacy and reach of the internet we can deliver live, real time yoga classes to you - in the comfort of your own home or wherever you choose to log in. Just like face-to-face classes, live yoga online sessions provide interaction and support with an accredited teacher, as well as visual and verbal feedback to help you with your postures and other aspects of your practice. The only difference is that your teacher is on your computer screen rather than right next to you! Satya Live Yoga classes are conducted via internet video conferencing. All you need is a PC, laptop, tablet or smartphone with a built-in camera or webcam, and basic internet connectivity. Once logged into your account, simply place your webcam so the teacher can see and instruct you throughout the class. and, your teacher will be able to tailor postures for you to take account of any injuries or health conditions. What’s more, during the class you will hear only your teacher’s voice, providing greater opportunity for focus on your practice. It’s simply like having your own dedicated yoga teacher. Live online yoga classes offer convenience, quality and affordability, and are an increasingly popular alternative for those wanting to participate in a regular guided practice without the hassle and time involved with getting to a class. Contact us for more information on our current and upcoming live online yoga classes.